The former prime minister said Friday at a press conference that climate change has become an ideological matter for the Liberal-National coalition government. "I think the truth is that the coalition finds it very hard to get agreement on anything to do with emissions," Turnbull said, as quoted by Climate Change News. Australia is one of the countries most vulnerable to climate change, with relentless drought, deadly wildfires and devastating bleaching at the iconic Great Barrier Reef. At the same time, Australia is one of the world's largest coal exporters, accounting for 37 percent of global exports. "Emissions issues and climate policy issues have the same problem within the coalition of bitterly entrenched views that are more ideological views than views based, as I say, on engineering and economics," Turnbull continued. "As for what the future holds in terms of energy policy, again you'll have to talk to Scott about that." 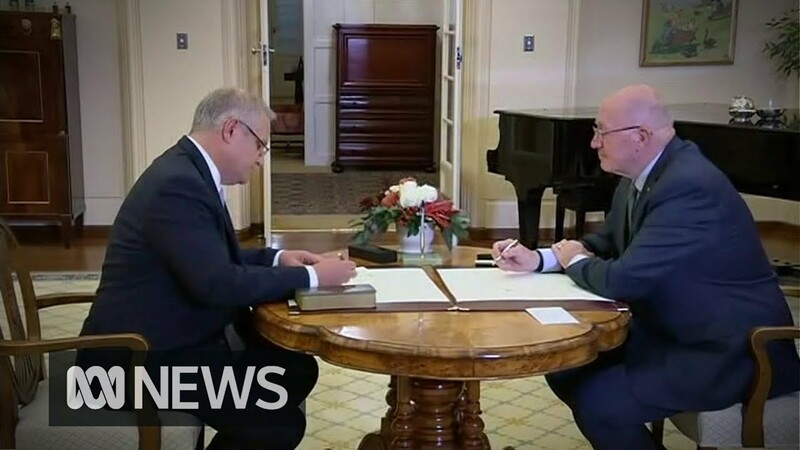 Morrison, Turnbull's former treasurer, pledged Friday to "heal our party." As the new prime minister, he has placed Australia's "economic and national security" and the nation's epic drought as major priorities, calling it "our most urgent and pressing need right now," the Guardian reported. The new deputy Josh Frydenberg was the former environment and energy minster and developed the Turnbull government's climate policy. However, Morrison once famously brought a lump of coal to the Australian parliament in 2017 and listed its benefits to the economy. "This is coal, it was dug up by men and women who work and live in the electorates of those who sit opposite," Morrison roared. "There is no word for coal-phobia technically, Mr. Speaker, but it is that malady that affects those opposite [Labor], and it is that malady that is affecting the towns and jobs and, indeed, this country, because of their pathological, ideological opposition to coal being an important part of our sustainable and more certain energy future." Australia's coal industry was pleased with the election results. "Scott Morrison knows what makes regional Queensland tick, and he understands the importance of our most valuable industries—like resources," Queensland Resources Council CEO Ian Macfarlane said, published on the website World Coal. "In recent times, we've seen him make several visits to some of our resources heartlands in Central and North Queensland. And we know he's a fan of the coal industry, which he proved on the floor of Parliament."